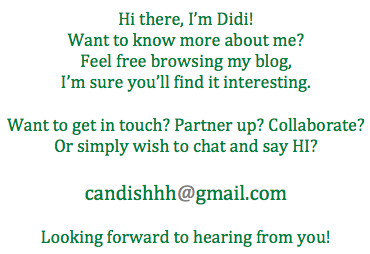 the canDIshhh tales: Lucky Didi's Beauty Loot Giveaway!! Last week, I gave in to my temptation - I finally bought my first ever Tony Moly CC Cream! I have to mention Rowena because it was her post that convinced me to get one! Thank you Ro! I was very lucky because, when I got to the department store counter of Tony Moly, the sales attendant immediately told me that they have a promo 'A free 30mL CC Cream for every P1,000.00 purchase!' Since the CC Cream cost P948.00 I just had to add a little to reach the P1,000.00 purchase - so I bought a pearl mask for P58.00. I felt it was so meant to be, because what were the chances right? I randomly went to the department store with just the intention to get the CC cream and I got another bottle for free! Well, almost free.. Hahaha! 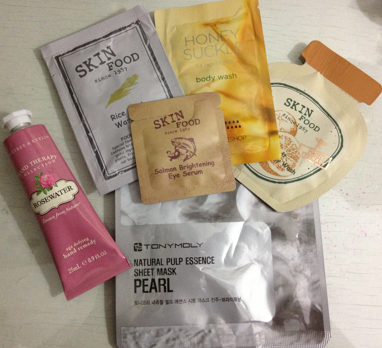 So, to share my luck, I'm giving away the Pearl Mask that I bought plus some others (Skin Food freebies, The Face Shop body wash and a Crabtree & Evelyn Rose hand remedy) that I found on my table. This is a winner take all, so keep those entries coming! I'm using rafflecopter to pick the winner. You have until July 20, 2013 to join!